Do you have “People Problems”? Employee Turnover? Productivity issues? Succession Planning issues? Leadership Development issues? 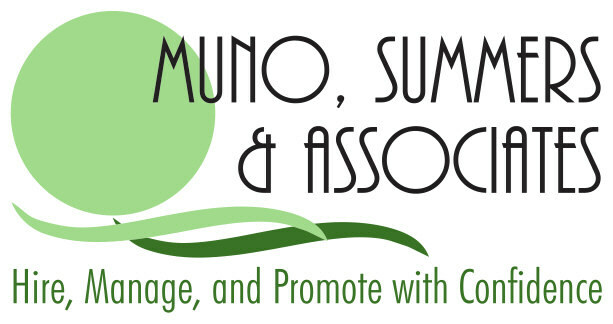 Muno, Summers & Associates is an Employee Assessment firm specializing in providing solutions to Career colleges for their “people problems.” We have extensive experience in the Career College Industry, working with schools of all sizes throughout the United States and Canada. Employees are a school’s greatest asset. The ability to hire, manage and promote employees so that their strengths are matched with the school’s positions is paramount in maximizing the effectiveness of the organization. Muno, Summers & Associates enables Career Colleges to REDUCE EMPLOYEE TURNOVER, HIRE MORE TOP TALENT, RETAIN TOP PERFORMING EMPLOYEES, and COACH and DEVELOP INCUMBENT EMPLOYEES. Let us help you implement a customized Talent Management System – contact us if “People Problems” are plaguing your organization.